What does Thanksgiving mean to you? Is it that one time of year you look forward to or do you dread every second? Honestly, in the grand scheme of things, we invite you to look at it for what it is and embrace this annual tradition. Thanksgiving is that one time of year we all can get together and truly give thanks for our blessings in life! In the meantime, we have some fun facts about Thanksgiving that you can share around the table this year. So, grab your favorite bagel and a beverage, and read on! The original Thanksgiving, celebrated in 1621, lasted three days. And, it took the saying “survival of the fittest” to the extreme. Only about half the settlers who landed at Plymouth rock in 1620 were alive a year later. Hence, the real reason the Pilgrims wanted to give thanks. And, it is true, the colonists did invite their Native American Allies, the Wampanoag who accepted the invitation, and helped extend the affair. 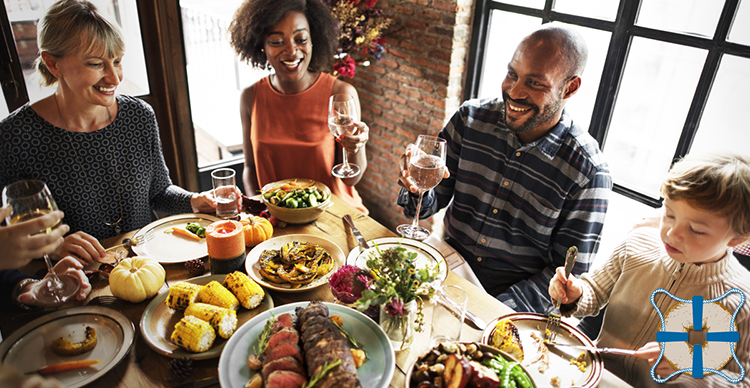 There is no definitive proof that the original Thanksgiving feast included turkey or any of the other foods most associated with today’s celebration. However, we do know they passed around other interesting foods such as swan, lobster, oysters and yes, seal. Mmmm, right? Originally Thanksgiving was a holiday declared each year by the president. But, TJ believed firmly in the separation of church and state. And, since technically, Thanksgiving involves a prayer of thanks he said, nope. He felt it violated the First Amendment. Kinda gives new meaning to this amendment making such headlines nowadays. Writer and editor Sarah Josepha Hale, most known, for penning the “Mary Had a Little Lamb” poem/song had a key role in convincing President Abraham Lincoln to declare Thanksgiving a national holiday. She wrote many articles and letters to the Chief Executive aimed at persuading the president. So, the first Macy’s Thanksgiving Day parade, held in 1924 did not feature those huge balloons. In fact, it didn’t have any balloons at all. But, it did feature live animals from the Central Park Zoo. An Extra Week of Holiday Shopping? No Thanks. In 1939, ever the innovative thinker, FDR balked at tradition and officially declared Thanksgiving to be the third Thursday in November. This allowed for an extra week of holiday shopping. However, Americans said, no thanks. They didn’t love the change, so it was officially changed back in 1942. The Inspiration for TV Dinners. Wait, What’s That? You may have heard that necessity is the mother of invention. In this case, it was an employee accident that spurred a cultural gastric-phenomenon. You see, in the 50’s there was this new invention called the TV. Well, it is said that an employee from Swanson accidentally ordered 260 extra tons of Thanksgiving turkeys. So what do you get when you fill up 5000 aluminum trays with turkey and all the fixins? A 98-cent “instant” meal you could store in the freezer and eat in front of the TV. Hence, the TV Dinner was born. A year later over 10 million were sold. That’s a lot of people who love super hot mashed potatoes with a frozen center. What? Ask your grandma. Cooking experts say to estimate around on and a quarter pound of turkey for each guest. Not sure how much you eat, but about 46 million turkeys are cooked for Thanksgiving each year. That’s. A lot. Of. Turkeys. But, according to the National Turkey Federation (yes, that’s a thing), only around 88 percent of Americans eat the turkey. So, what are the other 12 percent feasting on? Thanksgiving dinner comes but once a year. So, no sense in worrying about the 3000 calories and upwards of 229 grams of fat you may consume during this glorious meal. Ok, while it may be more than four times the fat you should consume in a day, as we said, it’s once a year. Let it go and enjoy! Ok, forget about what we just said about eating Thanksgiving dinner once a year. Seems like the majority of Americans (80 percent) like the leftovers more than the actual meal, according to a Harris poll. We think it’s because you get to eat in peace, you know, without any of that family drama from those distant relatives who like to tell you how you should be living your life. Sorry, too personal? The Butterball Turkey Talk-Line is set to answer about 100,000 calls each season. And in 2016, the company’s cooking crisis team introduced a 24-hour text message line heading into the big day. Apple or Pumpkin Pie for Dessert? Estimates state that we eat around 50 million pumpkin pies on Thanksgiving. However, according to the American Pie Council (yes, also a thing) more Americans, overall, prefer apple pie. Black Friday…Busiest Day of the Year…for Plumbers. Ok, it seems like we should include our plumbers on the list for what we are most thankful. Roto-Rooter reports that the day after the Thanksgiving they receive a record amount of calls for stopped up kitchen drains, garbage disposal, and ahem, toilets. Just keepin’ it real. Shop While in a Food Coma. Sounds Like a Great Idea. While Black Friday is, and always will be the biggest shopping day of the year, many folks like getting a jump start. The National Retail Federation reports that many consumers will take advantage of Thanksgiving Day sales. The next day, around 32 million will head out to tackle some holiday shopping, as a part of the over 100 million shoppers throughout the weekend. Hopefully, you enjoyed these fun facts about Thanksgiving and are ready to celebrate! This year, make everyone happy and bring a bag of bagels and cream cheese for snacking before the big celebration. They are great for breakfast. But, did you know that there are many other ways to eat bagels that could change your life? So this year, think outside the culinary box and add some bagels to your Thanksgiving table! Happy Thanksgiving from Naval Bagels!